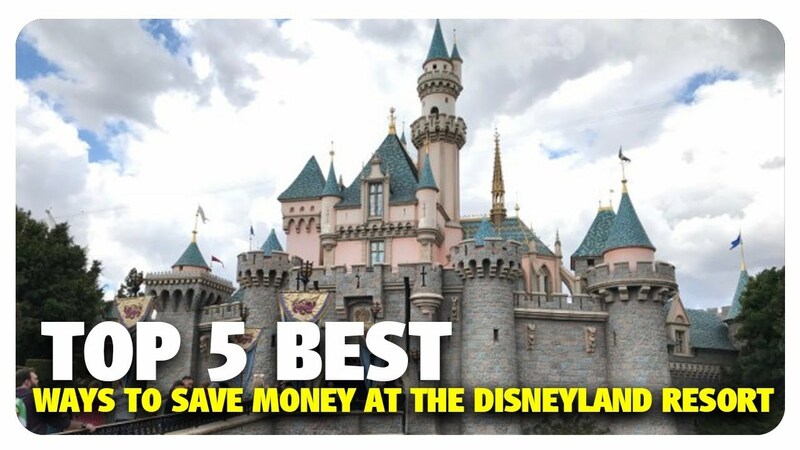 On this weeks episode, the panel discusses the Top 5 best ways to save money at the Disneyland Resort! Visit http://www.disunplugged.com to hear more from The DIS Unplugged team. Subscribe to the DIS Unplugged YouTube Channel! Become a Patron of the DIS Unplugged and receive exclusive content, early access to certain vlogs, and much more! OLDER POSTWhat Keeps You in Your Seat in an Upside-Down Roller Coaster? I was so surprised when the video first started. I don't know why I thought this but, I thought the counter was a giant blanket for like a second. I was like "WOW when they said 'new set up' I didn't think that's what they meant," and then I saw Tom and it got even weirder until I realized it was a counter. By the way, It's great to see Tom again. I wish he was on more shows, especially the Monday show again. Great show, guys. It's always hard to save money when there are so many things to buy. I always have to pry myself away from the gift shops and unnecessary food. I have an addition to your tip about not eating churros: don't get Dole Whips either. Churros and Dole Whips are pretty gross anyways. If you're looking for a snack, just get a corndog. That's like a snack and a meal all in one. Another is just don't use Maxpass. Yes it's convenient, but I've found that for whatEVER reason, Maxpass just refuses to work on my phone. I paid ten bucks for nothing a couple times. I recently did get a new phone, so maybe this time will be better or maybe we just need to get rid of Sprint. However, if you just don't know how to use it, or your internet is terrible (Disney's hotspots are unreliable also), then just refrain from getting it and just use the kiosks like it's always been. For families that travel my parents always gave us a budget, we could buy one thing (we called it a “little something”) on the last day, usually for about $20. They encouraged us to buy it on the last day, so we could see all our options. Kept my parents on budget and kept shopping to a minimum. Sometimes Santa would surprise us with an extra little something at Christmas from the parks. also, I love to see the new set! A table is way better than a couch. Love to see this show evolve, keep up the good work! the Wal-mart / Dollar Store goodies are great for Tinkerbell gifts — if the kids are good in the park, Tink and the fairies leave a little treat.. and it's exciting for early morning wake ups and no need for treats in the park.. It's Tom Bell!!! Missed seeing or hearing your thoughts!! Really like this set up! (Better than couch) LOVE Katrina’s dress!!!!! I’m very happy to see Tom! Hey, where’d the couch go? Ok…can I just say Katrina is REEEEEEEEEEAAAAALLLYYYYY pretty? Love seeing more DIS content about Disneyland 🙂 Keep up the good work guys! 1. Check your camera angle. If you lower the tripod a little, it’ll be more you and less kitchen counter. 2. The phone is kind of distracting and makes it look like you’re all depending on Katrina’s notes to get through their show. Printing out your notes and hanging it below the camera will let you maintain eye contact with the us and each other and make it less obvious that you’re using notes. Sound quality is pretty bad. Have Pete get you a better mic. He can stay at the Paradise Pier Hotel next time he comes to Disneyland and the money he saves by not staying at the Grand Californian Hotel can be used to purchase your show a professional mic. I was just there in April and I only got my 10% with my Disney Visa on merchandise if i spent over $50 and only some limited restaurants still give the 10%. Really liking the new format! maybe putting a towel or something on the counter behind the camera would help deaden the echo a bit too 🙂 I really like the improvements!